When you meet someone, the first they you will notice is their skin. Altaire Clinic, in Fargo ND specializes in laser resurfacing treatments to make your skin shine. If your skin looks dull and tired, you may be considering treatments like a chemical peel or microdermabrasion. These are treatments that use chemicals or abrasive materials to remove the top layer of the skin promoting new skin to grow from underneath. At Altaire, we offer two alternative and natural laser resurfacing treatments. 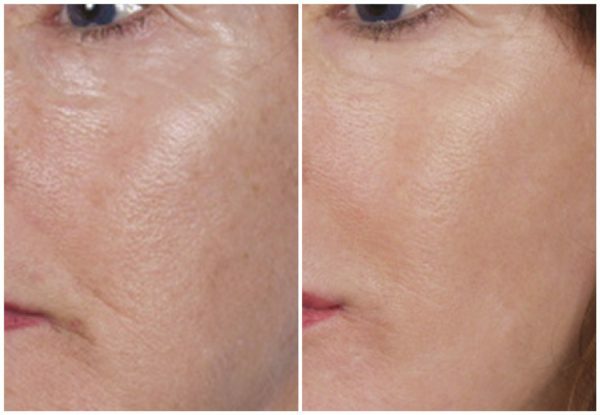 The NanoLaserPeel treatment uses light energy to instantly remove the top layers of the skin at a depth that also accelerates the skin’s own renewal process by activating special messenger cells. Microdermabrasion and chemical peels often don’t get deep enough. Our NanoLaserPeel treatment has the precision to work at just the right depth, creating beautifully smooth, luminous skin. Altair also offers Micro Resurfacing. This is an aggressive laser treatment. Using an erbium type laser, this treatment takes resurfacing to the next level. It is considered the gold standard for a cosmetic non-surgical treatment for skin tightening. The Micro Resurfacing laser treatment is able to tighten the skin, eliminate wrinkles, and reverse sun damage. Micro Resurfacing is great for those difficult areas such as around the eyes. Plan for about 1 week of downtime with this aggressive laser. Results will be immediate, but it will also stimulate collagen up to 6 months post laser. Please keep in mind that each patient is unique and your results may vary. Making sure you have adequate healing time allows you to work with your provider to customize the treatment plan. There is no requirements prior to the treatment. Can This Be Paired With Other Laser Treatments? Yes, a lighter NanoLaserPeel can be paired with other lasers such as Halo or BBL to attain desired results. Can I Do Injectable Treatments The Same Day? No, there is inflammation created from the laser, so we recommend that you wait at least 1 week before doing any injectables treatments. What Ares Of The Body Can Be Treated? Most skin areas can be treated. Popular treatment areas are the face and neck, though some people also treat the chest and hands. You should discuss your needs with one of our providers. Your skin will be cleaned in the treatment area and your eyes will be protected with safety shields. The physician will position the laser hand piece above the skin and will hold it in place as the computer-guided scanner moves the laser beam around the treatment area. Depending on the size of the area being treated, the procedure usually lasts 5 to 10 minutes. One of the primary advantages of NanoLaserPeel is that it causes little pain because it does not penetrate very deeply into the skin. At its most shallow settings, most people can tolerate treatment with no anesthetic at all. For the more aggressive settings, numbing is used prior to the laser treatment. At Altaire, we offer Pro-Nox (nitrous oxide) to help ease the discomfort/anxiety as well.